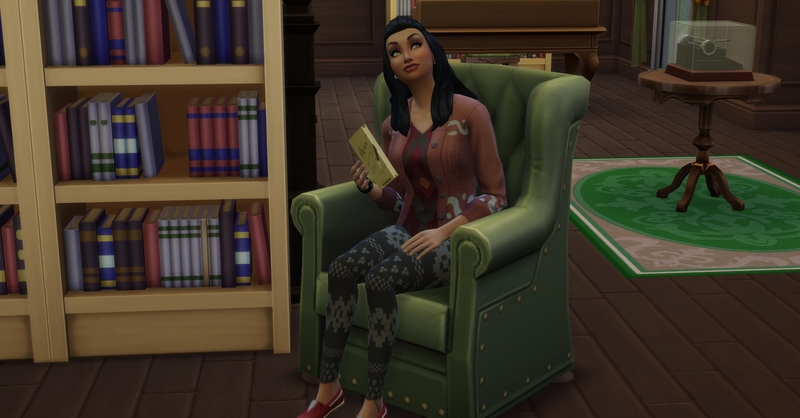 In order to raise her fun and also to work on her daily task for work, Rosabelle goes to the library to read. Rosabelle reads until she had gained level 4 writing. Now her hygiene and hunger are low. 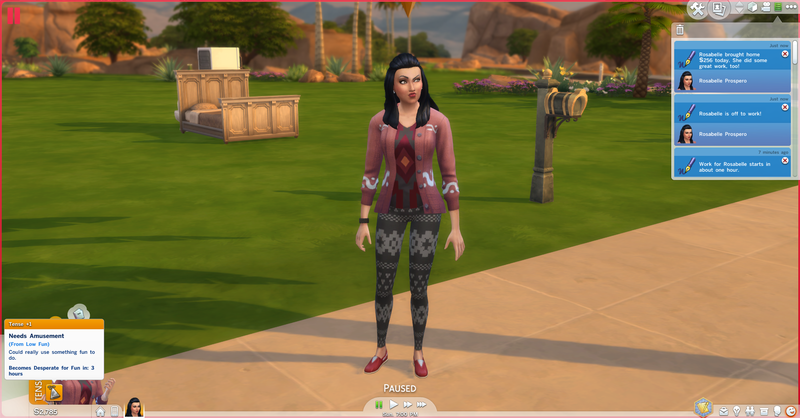 She heads out to the gym to use the locker rooms there to shower. She showers off and sings opera in the shower! 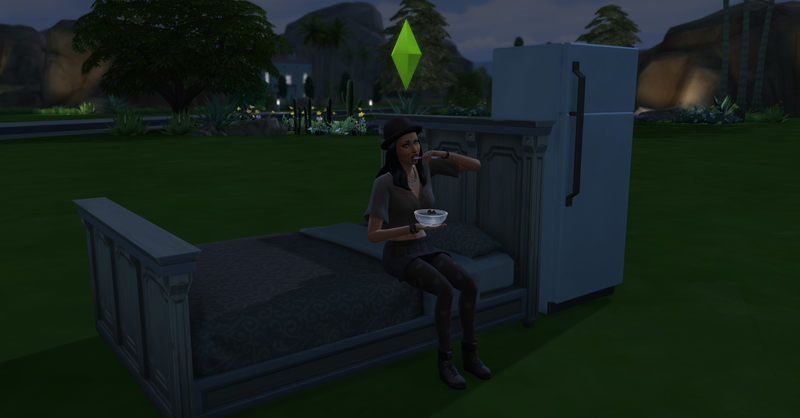 Then Rosabelle goes home for a late night yogurt snack and bed. She has to be so sick of yogurt by now! Check back soon for Week 2: Day 9 of our Challenge!